The 36th César Awards ceremony was presented by the Académie des Arts et Techniques du Cinéma in Paris, France to honour its selection of the best French films of 2010 on 25 February 2011. 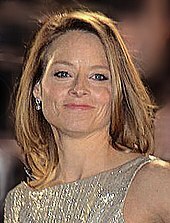 The ceremony was chaired by Jodie Foster and hosted by Antoine de Caunes. The audience gave a standing ovation to Olivia de Havilland, their "special honored guest". The show was followed by 2.9 millions of viewers. This corresponds to 14.5% of the audience. ^ "Polanski and Tarantino feted at French film awards". BBC News. February 26, 2011. Retrieved 2011-02-27. Wikimedia Commons has media related to 2011 César Awards. This page was last edited on 20 June 2018, at 04:17 (UTC).